“Having heard the work a number of times (as well as having so many recordings in my head), this clearly was one of the most memorable and moving Verdi Requiems I have heard. Conductor Botstein consistently demonstrated an ability to bring the massive forces together, with a precision that had the array of forces cohere with great, controlled power. And, as usual for Botstein, he brought out details and shadings in the work that, well, seemed entirely new. 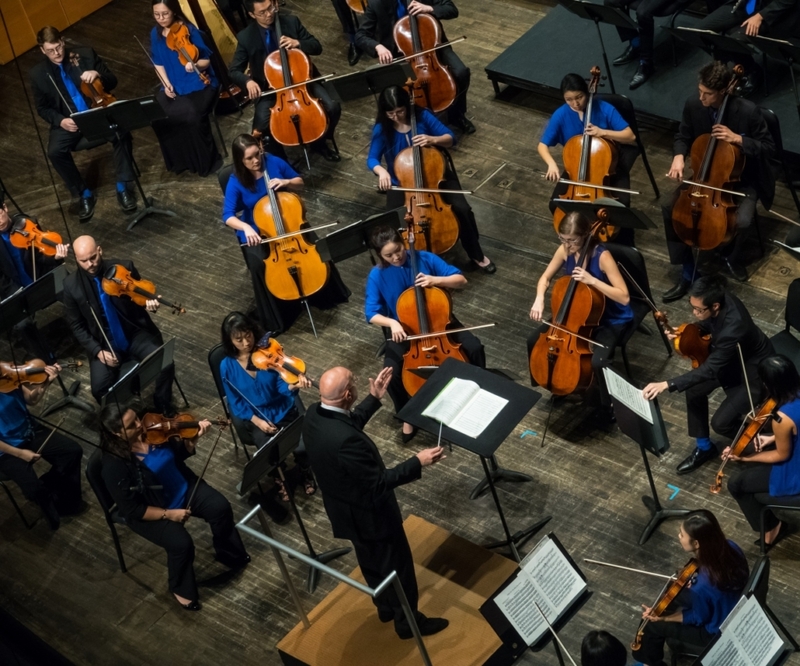 And with a graduate student orchestra, that youth and exuberance meant that – with all that detail and attention in place – the performance was, at many times, earthshakingly exciting. The “Tuba Mirum,” with trumpets placed in the upper balcony, produced a tidal wave of sound, and yet always remained musical, always controlled, as if that hurricane rattling outside your front door could be controlled. As to “Requiem’s” quieter moments, the shading that Botstein elicited from the orchestra, the chorus and the soloists — in sections like the “Liber scriptus” or the “Ingemisco” — brought both a clear beauty of sound and a solemn peace amidst the Requiem’s stormy moments, always with fierce “judgement,” of course pending.